Action that keeps you on your toes, romance that makes you sigh and humor that keeps you laughing until the very end. 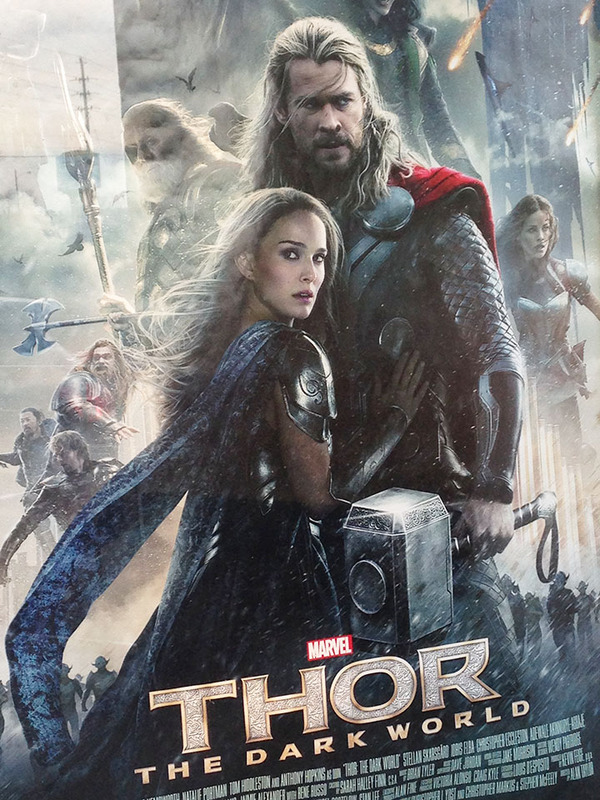 Thor: The Dark World, directed by Alan Taylor, premiered on Nov. 8, starring Chris Hemsworth as Thor, Natalie Portman as Jane Foster and Tom Hiddleston as Loki. The Dark World was everything the directors and producers built it up to be. Thousands of years ago, a race called the Dark Elves plotted to use a weapon called the Aether against the nine realms, turning them to darkness. The Dark Elves’ leader, Malekith, was defeated by Asgardians, causing Malekith to go into a deep slumber for many years. The Aether was then buried where no one would ever find it, until Foster accidentally stumbles upon the Aether and disrupts the peace in the nine realms. Foster’s body is now a host for the Aether, awaking Malekith, leading him to plot his revenge against the Asgardians. Thor brings Foster to Asgard, after not seeing each other for two years, upsetting his father, Asgardian king, Odin. Odin plans to keep Foster in Asgard, drawing the Dark Elves back after the first attack, but Thor disagrees and commits treason against his own city with his brother Loki, who was placed in prison. Thor does not believe he can trust Loki, but does not have any other choice. Thor: The Dark World had everything in it that I was expecting, plus a little more. The humor was great, and perfectly used in every scene. If I was not laughing, I was on the edge of my seat, tapping my fingertips against my knee. The movie picked up where the first one, Thor, left off, and added a bit more detail of what happened at the end of the first movie. People who did not see Thor may be a little confused at the beginning, but then will gradually understand the plot line. If you have not seen Thor: The Dark World, you need to. The actors, and graphics are amazing. I will definitely buy it when it comes out on DVD. The action, romance and humor keeps everyone intrigued, using an astonishing plot twist at the end you will go crazy about.